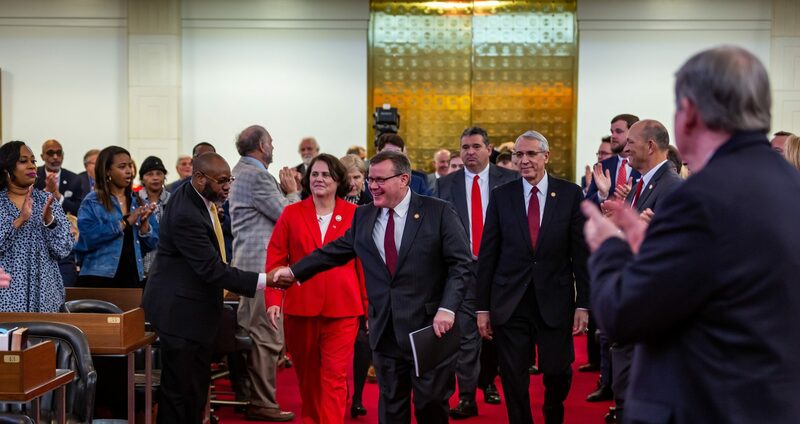 Raleigh, N.C. – The North Carolina House of Representatives approved nearly $300 million in additional Hurricane Florence recovery on Thursday to aid victims of the state’s second major storm in two years. In October the state General Assembly first convened to direct nearly $800 million from the state’s record $1.8 billion reserve to a new Hurricane Florence Recovery Fund. Almost $400 million of that initial commitment was distributed to assist public schools, universities, local governments, housing needs, and community colleges. The initial package in October also included tens of millions more dollars to aid behavioral health, community hospitals, small businesses, mosquito abatement, coastal beach renourishment, dredging, commercial fisherman and marine debris cleanup. Today, the House passed Senate Bill 823 Hurricane Florence/Supplemental Act, which directs $240 million to support famers in North Carolina devastated by over $1 billion in agriculture losses by Hurricane Florence. The aid will be disbursed through the Hurricane Florence Agricultural Disaster Program of 2018 that was established by the General Assembly in October and developed by the state Department of Agriculture prior to the direction of state dollars to the fund. 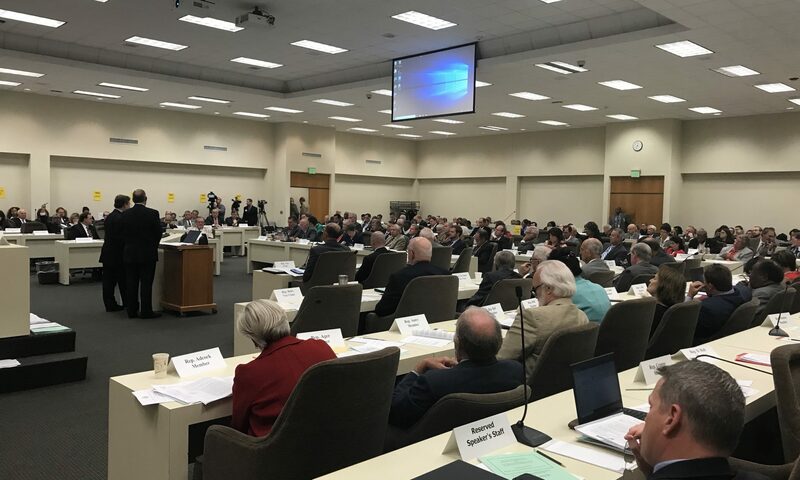 “Once again, we had a historic natural disaster for this state, we have had a historic response in this state,” said senior House Appropriations Chairman Nelson Dollar (R-Wake). Of the nearly $300 million appropriated in Senate Bill 823, $23.5 million of will be spent to repair and renovate K-12 public school facilities. Lawmakers also spent $60 million for public school facility needs in the October disaster recovery session. More than $18 million is allocated to match federal funding to mitigate and remediate coastal storm damage to beaches and dune systems. The new legislation spends $10 million on commercial fisherman assistance, $5 million for loans to small businesses. Courthouses damaged by the storm will also receive $1 million to replace equipment and cover unexpected costs due to the storm closure. “We are fortunate to be able to do this because of prudent budgeting and tax structure that we are able to tap into a nice rainy day fund in order to do this,” said House Agriculture Committee Chairman Jimmy Dixon. 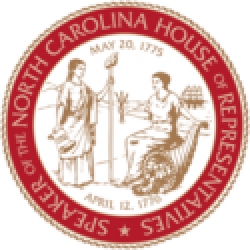 Senate Bill 823 further directs the Governor’s administration to develop a 5-year plan to replenish the funds transferred from the Savings Reserve to the Hurricane Florence Recovery Fund. Provisions in the legislation also allow the Office of State Budget and Management (OSBM) to redirect up to $20 million of appropriated funds to provide loans to high-need counties impacted by Hurricane Florence. Finally, the bill reforms reporting requirements and auditing procedures for funds spent on recovery for both Hurricanes Florence and Matthew by transferring this authority to the state’s new Office of Recovery and Resiliency established in October. Nearly $100 million will remain in the Hurricane Florence Disaster Recovery Fund if the legislation is approved. Almost $1 billion remains in the state’s savings reserve. Lawmakers also waived makeup days for school districts in October that were hit-hard by Hurricane Florence to help local education communities focus on immediate facility and scheduling needs instead of state calendar standards. Additionally, the state legislature approved agreements to extend voter registration deadlines in October and allow local county election boards to replace hurricane-damaged poll sites. It further required state and local elections boards to educate local citizens about their options for voter registration and casting ballots.